AfriGeneas – Rated as one of the 101 best sites by Family Tree Magazine; offers assistance and links to other useful sites. Native American Genealogy – A general site providing numerous links to other useful sites to those trying to research Native American ancestors. Winner of six awards for quality. 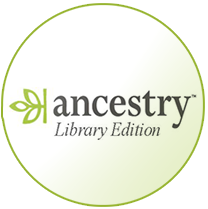 RootsWeb – The oldest genealogical web site provides free access to other important sites, including USGenWeb, WorldGenWeb, and the Social Security Death Index.